Ford CEO and President Alan Mulally has emerged as top candidate to replace Steve Ballmer as Microsoft CEO, according to anonymously-sourced media reports. Ford President and CEO Alan Mulally, considered a front-runner among candidates to replace Microsoft CEO Steve Ballmer, has reportedly tried to put the brakes on the accelerating rumors. Interviewed by USA Today on Tuesday, Mulally said he loves "serving Ford" and that he has "nothing new to add" to his plans to continue working at the automotive company. The 68-year-old executive, who was also president and CEO of Boeing Commercial Airplanes, has emerged in the past week as a top choice to take over from Ballmer among search committee members, according to media reports based on anonymous sources. On Thursday, the AllThingsD technology blog reported that Mulally had "vaulted to the forefront" among candidates due to his successful stints at Ford and Boeing, his reputation as a turnaround expert and his ties to Microsoft, which include being a close advisor to Ballmer, and to Seattle, where he has a home. 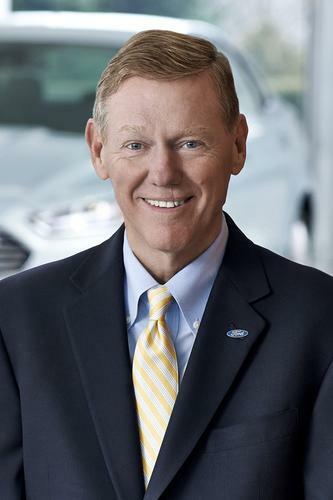 According to USA Today, Mulally's contract with Ford runs through next year. During his tenure, Ford collaborated with Microsoft on the development of Ford's Sync in-car "infotainment" system, but Mulally would still be considered an outsider. It could signal a willingness among board members to bring in someone with no IT industry nor Microsoft baggage who could dispassionately question and revise Microsoft's current strategy and plans. 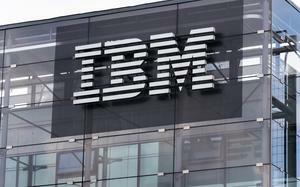 In addition, it may mean that the board is looking for a CEO with strong "leadership soft skills," said Forrester Research analyst David Johnson. "Mulally has a long track record of building company cultures with a positive outlook and trust, infusing the organization with confidence and energy," Johnson said via email. "He's seen as a cheerleader and advocate for employees -- an essential quality for turnarounds." A pressing issue the new CEO will likely face include the mixed-reviews and lukewarm adoption of new products that were supposed to boost Microsoft's weak position in smartphones and tablets: Windows 8, the Surface tablets and Windows Phone 8. Some have said Microsoft should take them back to the drawing board. The new CEO will also inherit a wide-ranging corporate reorganization drafted by Ballmer to make Microsoft function more cohesively and transition from its packaged software focus into a company that sells hardware devices and cloud services. That restructuring is being implemented and it's not clear when it will be completed. Some industry experts believe that rather than unify Microsoft, a better strategy would be to give its divisions more autonomy, because the company's product line has become too diverse with products as different as the Xbox gaming console and the SQL Server enterprise database. Others who have been rumored as viable candidates are IT industry executives, and most are either current or former high-ranking Microsoft executives. They include Satya Nadella, executive vice president of Microsoft's Cloud and Enterprise Division, Kevin Turner, the company's COO, who was CIO at Walmart and CEO of Sam's Club, and Stephen Elop, Nokia CEO and former division president at Microsoft who is due to return to Redmond when Microsoft's acquisition of Nokia's smartphone business is completed. In addition to Nadella, other top Ballmer lieutenants who have been said to be in the running include Operating Systems Engineering Group leader Terry Myerson; Devices and Studios Engineering Group chief Julie Larson-Green; Applications and Services Engineering Group leader Qi Lu; marketing head Tami Reller; and Tony Bates, the former Skype president who was just named leader of the Business Development and Evangelism Group. "There are good leaders inside of Microsoft and it's too early for anyone to assume that there are no viable internal candidates to succeed Ballmer," Forrester's Johnson said. "Nadella is a standout." Besides Elop, other former Microsoft top executives who have been mentioned include Kevin Johnson, who is retiring as Juniper Networks CEO, and Paul Maritz, the former VMware CEO. Among outsiders, the names of Sheryl Sandberg, Facebook's COO, and Jon Rubinstein, who played a key part in Apple's iPod development and later became CEO of Palm before it was sold to HP, have figured. Rubinstein is now a board director at Qualcomm. 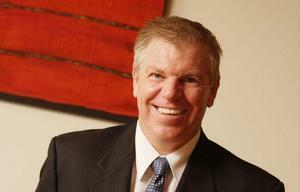 Another outsider being mentioned is Mike Lawrie, CEO and President of IT services provider CSC. Ballmer announced in late August that he would retire at some point in the next 12 months. Ballmer's decision stunned the industry because his retirement hadn't been expected for another several years, and certainly not a month after unveiling a broad restructuring of the company. A week after Ballmer's retirement announcement, Microsoft announced that it had signed a "cooperation agreement" with ValueAct Capital, one of its biggest investors, that gave the investment firm the right to appoint its president to Microsoft's board. Many observers speculated at the time that Ballmer decided to retire in order to appease ValueAct and avoid a proxy fight. One of the biggest knocks against Ballmer has been that Microsoft's stock price has been stagnant during his 13-year stint as CEO.